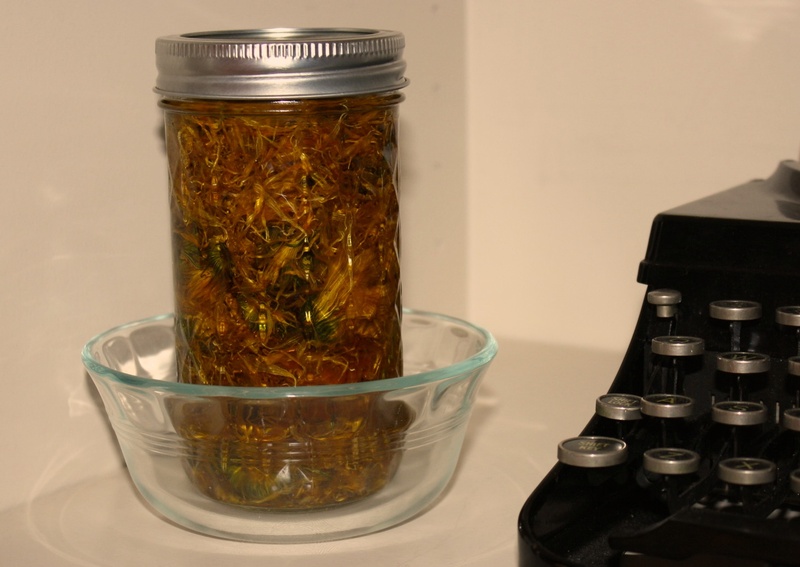 One salve that you can always find at my house is a calendula one. Calendula is great for a variety of skin related issues: dry skin or lips, eczema patches, even taking the itch out of insect bites. It heals diaper rashes quickly and is compatible for use with cloth diapers, unlike many of the over-the-counter diaper creams. The best part is that it's easy to make at home. Here's how. Some people like to add essential oils like lavender or tea tree to their salves. I prefer to keep mine fragrance-free. 1. Loosely fill a clean, dry jar with the dried herbs. I like calendula. 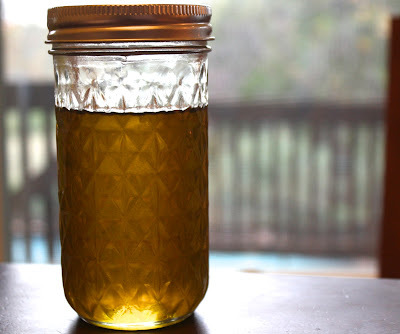 If you're making a diaper balm you could also add dried plantain leaf and/or dried chickweed. 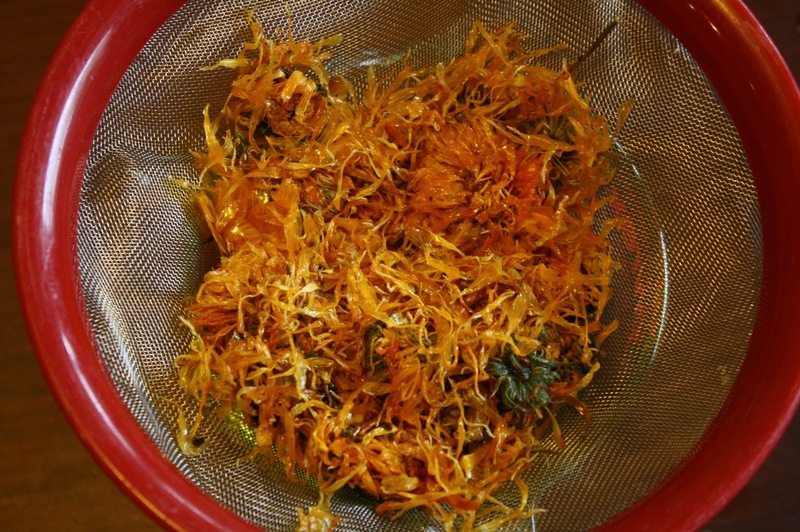 But just calendula is good, too. 2. Cover the herbs with the oil, filling the jar to the top. 3. Store in an airtight container in indirect light for one week. I place a bowl or dish underneath the oil in case some of it seeps out. 4. After one week's time, strain out the herbs using a fine mesh strainer. You now have your herb-infused oil. You can use this method to make all kinds of herb-infused oils. You could make rose or lavender oils for body or massage. You could make rosemary or basil infused oils for cooking. There are lots of possibilities! 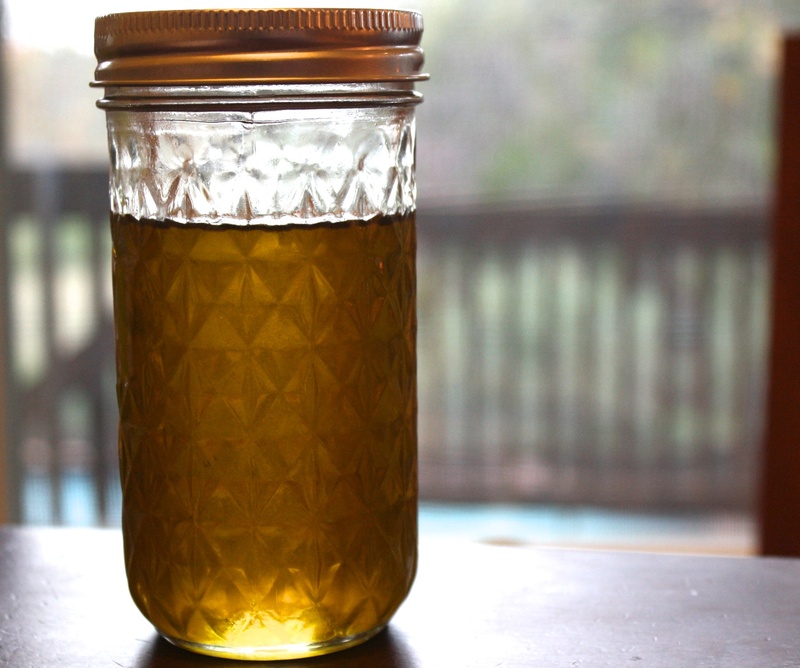 Now that you have your oil, we're ready to make the salve. Some people like to have a designated wooden spoon for use only with beeswax because it can be hard to clean off. I've found that as long as I use a metal spoon, clean up isn't too difficult. 2. Add in the 1/3 oz of beeswax. 3. When the beeswax is fully melted, puncture your vitamin E soft gels and squeeze the oil into your mixture. This will preserve your salve for about 2 years. This would also be the time to add any essential oils, if that's your preference. 4. Pour the mixture into a clean 4 oz jar or tin. Hi Rachel! Do you ever have a problem with your salve becoming a bit "gritty"? One of my batches has this problem and I'm not sure why...I'll have to try your formula - maybe the measurements I used were a little off for the recipe I followed. I have not had that problem and I've made salves a lot. The problem that I have had is getting the amount of beeswax right. Sometimes my salves come out too firm, especially when i switched from grated beeswax to pastilles. If that ever happens to you, you can pop the salve in the oven on 200 until it melts, then add more beeswax or oil, depending on if it's too firm or too soft. Good luck! Let me know how your next batch turns out! I just made a new batch, and it is perfect! I guessed a little on the beeswax, but it came out great, and like you said, it's not hard to re-melt and adjust. I think I was making it too complicated before - heating the oil and melting the beeswax separately, then blending them together - too many dishes to wash ;) Your way is much simpler. I had this same issue, did you use tiny beeswax pearls? I'm guessing they re-harden. Thats what it feels like to me.When I use shaved beeswax it doesn't get gritty! aw, man! i am really sorry you had this same problem. :/ i have never experienced that before. for simplicity's sake, i use beeswax pastilles from mountain rose herbs. i have not ever had this problem before. i might edit this post and add this info. thanks!